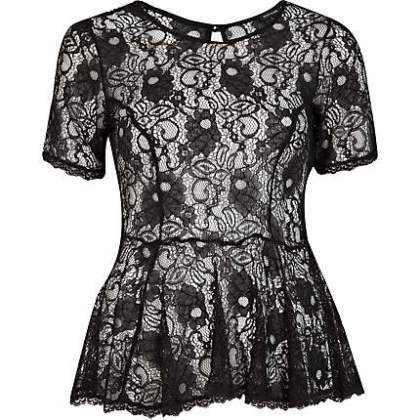 The winner of the Christmas Giveaway – black lace peplum top by River Island is Deedee. “I am not on twitter or instagram but I am definately following up with fashion & style police because of its uniqueness, its a wide spread of different accept of fashion from how to dress your body type,showing us different models both local & international so we have an insight of different culture. I love this black lace peplum top because, it looks very chicky,sophisticated & classy it could either be worn to the office,party or a meeting depends on what you match it with,it would go very well with a dark blue jeans(skinny preferably) which I plan to wear this Christmas *wink with a low pumps, no heels needed I’m 6′ft tall already Lol. I would really ♥ to have it in my wardrobe. Merry Christmas in advance fashion & style police”. Congrats Girl. I cannot wait to see pictures of you rocking it. Watch out for the next fashion giveaway coming soon.